The Eye Place offers a large and complete selection of contact lens brands for our patients. We keep thousands of diagnostic trials in stock to serve you better. We will make every effort to find the right contact lens for your prescription, eye health and lifestyle needs. We offer Extended Wear lenses that you can sleep in for up to 30 days, Daily Disposable lenses for low maintenance wear, Astigmatism lenses to correct your vision precisely, Multi-focal Lenses to reduce or eliminate your need for reading glasses, Rigid lenses for keratoconus and special prescriptions, and Colored Contacts for enhancing the color of your eyes. 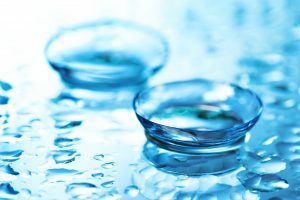 Our contact lens companies include products from the well known manufacturers Bausch & Lomb, CIBA, Cooper Vision, and many other specialty companies. Contact lenses are medical devices regulated by the Food and Drug Administration (FDA). In compliance with the FDA, we provide one-on-one training and instruction to first time wearers to make sure they are comfortable inserting, removing, cleaning and replacing their contacts properly. Patients are educated on the approved wearing schedule, proper replacement intervals, cleaning solutions and cleaning regimen. Our prices will remain competitive to be able to provide you with all your vision care needs. We also offer discounts when you purchase your annual supply of contact lenses from us. Ask us if contact lenses could be an option for you! Just went to see Dr. Sedlacek for the first time. I've been wearing glasses my whole life, contact lenses for over 30 years. I have never had such a comprehensive eye exam. I left with a clear understanding of my eye health and what's best for my vision. Thorough testing, thorough explanations. Great experience, great staff! Highly recommend!